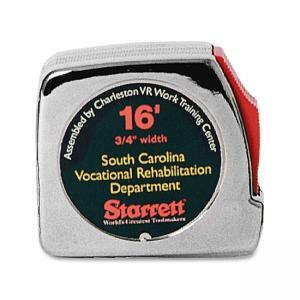 Self-supporting steel tape measure features power return, blade lock and a belt clip. Permanent Imperial markings are in increments of 16ths (32nds first 6"). 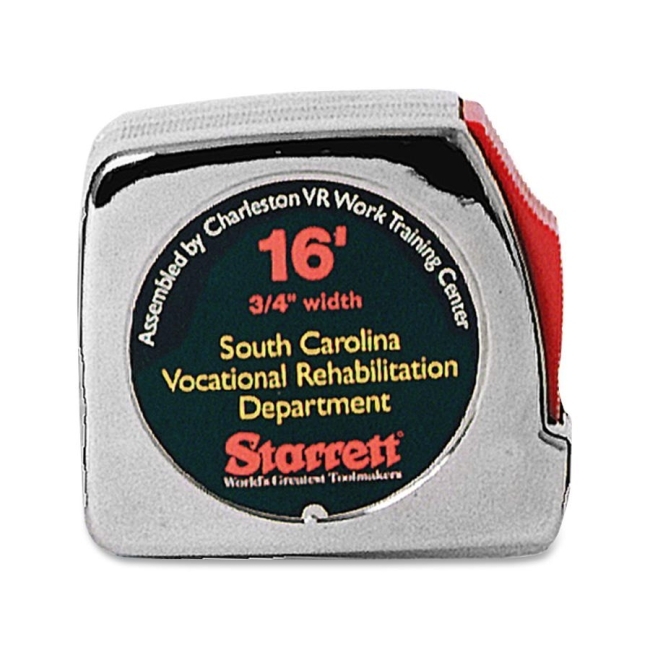 Tape measure comes in an impact-resistant plastic case.